In 1955, the foundation made its first three grants, totaling $22,500, to three organizations: the Delinquency Control Institute, the National Association for Retarded Children and the National Society for the Prevention of Blindness. To date, more than $17 million has been awarded to assist our nation’s children. 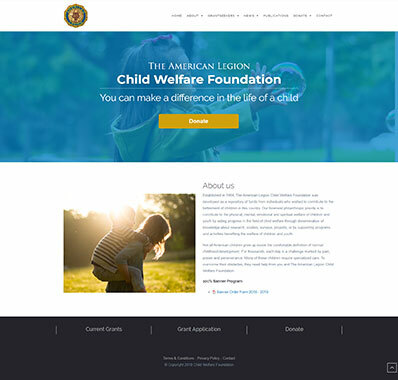 During CWF’s annual board of directors meeting in Indianapolis on Oct. 14, 2018, The American Legion Child Welfare Foundation awarded $766,761 to 24 nonprofits. Click here to see the Child Welfare Foundation grant recipients.